Under the direction of Sigvards Kļava, the Latvian Radio Choir has become an internationally acclaimed and vocally distinctive ensemble, constantly searching for new ideas. Under his guidance, the choir has recorded a several works by lesser-known composers, and have collaborated with a number of notable Latvian composers. 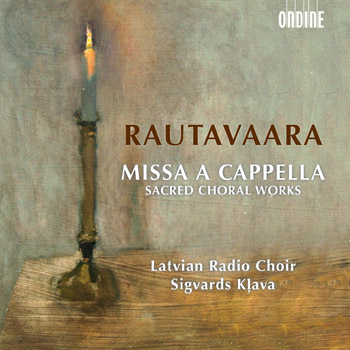 This is the Latvian Radio Choir's follow-up disc to their highly acclaimed recording of Rachmaninov's All-Night Vigil, which was Gramophone's Recording of the Month in their February 2013 issue.